Pokemon Go 0.37.0 – Buddy, Root, and FlyGPS Hack Update! 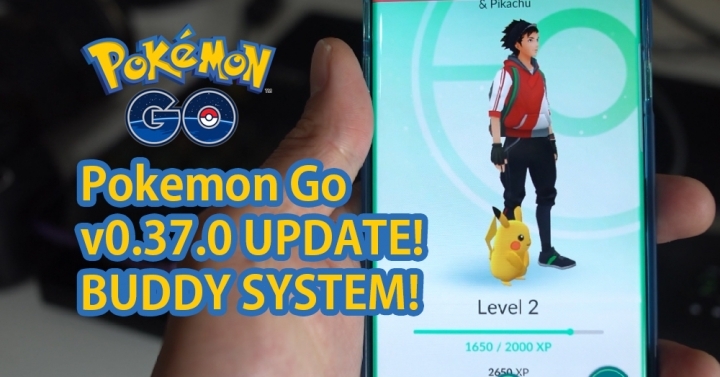 Pokemon Go was just updated today to latest version 0.37.0. The biggest update comes with Buddy Pokemon, trainers can now choose any of their Pokemons to be their buddy. I’ve been watching Pokemon with my daughter and it’s great to see that now I can have a real buddy like the real show. To set your Pokemon Buddy, hit your player icon, tap on the menu button, then tap on “Buddy”. You will be able to choose your favorite Pokemon as buddy. Now, you can also change your Pokemon buddy anytime but you will lose any progress. You can also earn candy for their Buddy Pokemon by walking them certain distances. Niantic is also updating the app so it will detect rooted Android devices or jailbroken devices. If you are using a rooted Android device to use the Pokemon Go Hack, you will NOT be able to play the game anymore as the game will lock you out. We have tried using RootCloak app to hide root from the latest update but it does not work. But we should have a new method shortly as root community is mad as hell. Of course, there are still many no-root Pokemon Go Hacks like FlyGPS or Tutuapp which you can still use fine. FlyGPS worked fine with the new update and I was able to easily transport to nearby San Francisco downtown for couch-surfin’ Pokemon. Pokemon Go v0.37.0 now also supports Pokemon Go Plus device, which should be out shortly. Other than that, there are a few bug fixes here that should help you play the game better. Niantic is still rolling out the new update over the next few days, if you haven’t gotten the update, you can grab the Pokemon Go 0.37.0 APK at APKQuick.com and update manually. Just go ahead and download the new update APK then install using ES File Explorer. Next story Magisk! – How to Play Pokemon Go on Rooted Android!